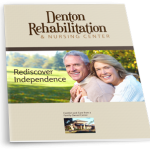 When you require professional, dependable, skilled nursing care to regain your health and strength after a hospitalization, choose the expert team at Denton Rehabilitation. Our onsite Physical, Occupational and Speech Therapists will work with our Nursing staff to help you recover quickly. 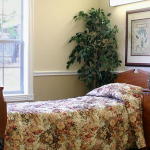 Our skilled nursing staff works around the clock to deliver expert care with a personal touch. 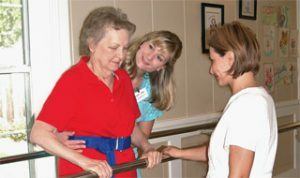 Denton Rehab is known for its long standing excellence in physical therapy, compassionate skilled nursing care and outstanding customer service. I've said it before -- the staff at DRNC is excellent -- they take their jobs seriously and present a very professional atmosphere no matter which hall I walk down or what time of day I’m there. They all deserve recognition and thanks. I want to thank everyone for the love and care you have given mom this past year. She is with us because of that care. You are to be commended for going above and beyond your job description. Thanks from the bottom of my heart.